Jack White has announced the release of BOARDING HOUSE REACH (Third Man/XL Recordings). The 12-time GRAMMY® Award-winner’s third solo LP and first all-new album in nearly four years will arrive everywhere on Friday, March 23. 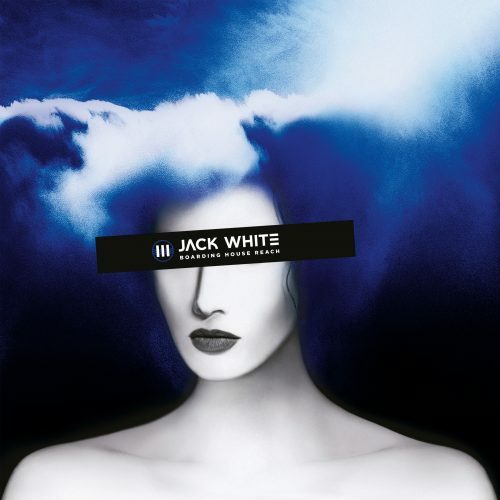 BOARDING HOUSE REACH sees Jack White expanding his musical palate with perhaps his most ambitious work thus far, a collection of songs that are simultaneously timeless and modern. Written and conceived while holed up in a Spartan apartment with literally no outside world distractions, White exclusively used the same kind of gear he had when he was 15 years old (a quarter-inch four-track tape recorder, a simple mixer, and the most basic of instrumentation). The album explores a remarkable range of sonic terrain – crunching rock ‘n’ roll, electro and hard funk, proto punk, hip hop, gospel blues, and even country – all remapped and born anew to fit White’s matchless vision and sense of restless experimentation. BOARDING HOUSE REACH is a testament to the breadth of Jack White’s creative power and his bold artistic ambition.